Citizen Consumer forum of Kunthavai Naachiyar Government Arts college (W),Thanjavur had Prof.Mrs.r.Thaiyanayaki M.Sc.,M.Phil. as President for this forum.Dr. C.Sunitha ,Reader &head of the Department of Economics acted as secretary and 120 students as its members from various Arts and Science Departments of our College. As part of celebration of National Consumer Day Essay writing competition, Poem writing of competition was conducted at District level.Our college student, Sundarambal and Vedthavalli won the first prizes in both the competitor respectively. District Food Supply Corporation council honored the students through certificates and Prize. Citizen Consumer forum of Kunthavai Naachiyar Government Arts college (W),Thanjavur had Prof.Mrs.r.Thaiyanayaki M.Sc.,M.Phil. as President for this forum.Dr. C.Sunitha ,Reader &head of the Department of Economics acted as secretary and 120 students as its members from various Arts and Science Departments of our College. Our college consumer forum was selected under the 'out reach camps' section and received Rs.10000/- for this scheme .on 18.2.2011.Consumer awareness meeting was conducted. Special Lecture was given by Dr.N.Chithra ,Associate Professor, Khadir Mohaideen College,Adirampattinam, on "rights and duties of consumer". Our College citizen consumer forum associate with Non-Government organization (NGO's) and with other College students performed according to its objectives. Citizen Consumer forum of Kunthavai Naachiyar Government Arts college (W),Thanjavur had Prof.Mrs.r.Thaiyanayaki M.Sc.,M.Phil. as President for this forum.Dr. C.Sunitha ,Reader &head of the Department of Economics acted as secretary and 120 students as its members from various Arts and Science Departments of our College. 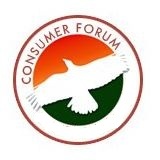 Consumer forum of our college inaugurated and started functioning from the year 2005 onwards. The main purpose of the forum is to bring awareness about consumer rights among the students especially among student members and in turn these students take and spread the information among their village members. For the year 2009-10, Mrs.R.Devaki, Principal of our college as President for this forum and 146 students as its members, C.Sunitha, S.G.Lecturer in Economics acted as secretary. The awareness campaign regarding "Right to information Act-2005-need to bring awareness among students" was done by this forum, on 9.10.2009 and Thiru.Adaikkalam secretary Thanjavur district Consumer protection council gave special lecture. It is the duty of it the every consumer forum member to take part in all consumer awareness campaign organized by District Collector. Our College consumer forum organizes many essay writing & Speech competition. The certificate and cash award prizes (Rs.500-I prize, Rs.250-II prize, Rs.200-III prize for 3 students) was sponsored by office of District Food Supply Corporation.